TAMPA, Fla. — The Tampa Bay Lightning officially clinched the Presidents' Trophy for the best regular season record in the NHL. The Bolts took care of the Arizona Coyotes 4-1 Monday night to guarantee not only winning the Atlantic Division, but also the entire Eastern Conference. With nine games left to play the Lightning have 116 points, 21 points more than the next closest team. With Monday's win, the Lightning also clinch home ice advantage throughout the entire postseason. The East belongs to them. That wasn't the only special part of Monday's game. 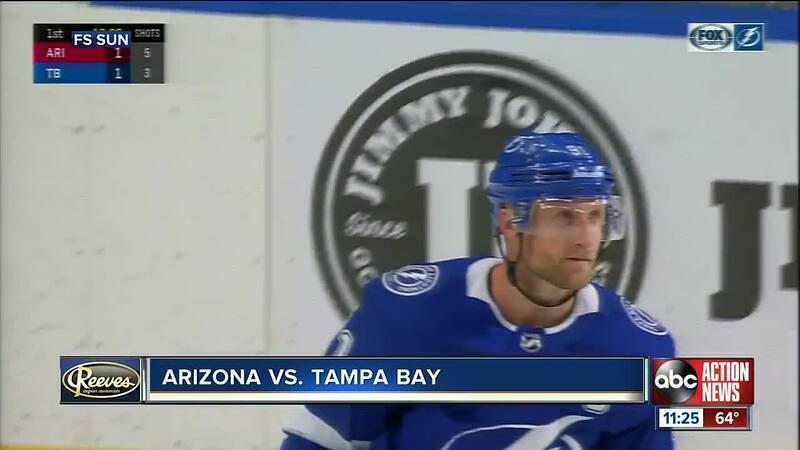 With a goal in the first period, Steven Stamkos became the all-time team leader in goals in the franchise's history, passing Vincent Lecavlier and notching his 384th career goal. The record for most points by a team in a single season is 132, set by the 1976-77 Montreal Canadiens. The Lightning are back in action Wednesday night in Washington D.C. when they take on the Capitals.